What are Failing Dental Restorations? 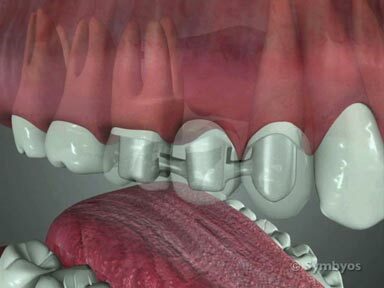 Figure 1: A clinically sound four-surface silver filling. Note that the silver material appears smooth, non-pitted, and the interface between tooth and filling (margin) is smooth and continuous, without gaps. A smooth surface with continuous interface from filling to tooth helps reduce plaque accumulation on the tooth and the likelihood of fractures or decay. (Image courtesy Byron J. Greany, DDS). Figure 2: The silver-colored filling on this lower right molar tooth exhibits a significant gap. The gap is not on the chewing surface of the tooth, so it is unlikely that hard foods could apply leverage that would break the tooth. However, plaque accumulation in large food traps like this can contribute to bad taste and halitosis (bad breath). Plaque accumulation in the ditch, places the tooth at risk for decay. The biting surface of the filling is not contoured for proper chewing efficiency. 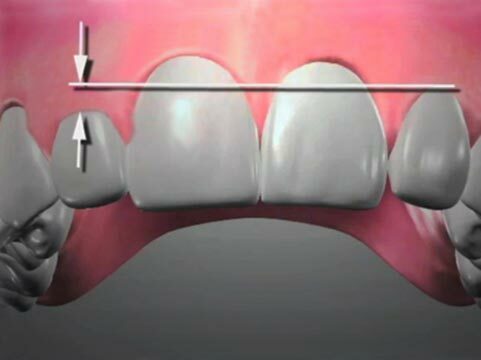 Considering all of these factors, you would be better served with an onlay, crown, or at a minimum, a new filling. Figure 3: An ideal tooth-colored composite resin filling is practically invisible in the tooth. There are many levels of acceptability, and a restoration need not look like this to be clinically acceptable. Figure 4: An older composite resin filling which is cosmetically unappealing, but still clinically sound—no detectable sign of decay, no ditching, no fractures, and the patient had no symptoms. An X-ray image of the tooth showed no sign of disease process in or around the tooth. Restorations like this are often cosmetically undesirable to patients, and due to the possibility of microscopic leakage (“microleakage”) at the stained margins (which could lead to decay), are commonly scheduled for replacement. Figure 5a: The broken silver filling in this photograph should generally be replaced. Depending on the patient’s other needs, however, replacement may be of lower clinical urgency as the filling is superficial, asymptomatic, and has no decay under it (the brown spot is stain). Most of the tooth is intact. Figure 6a: The crack in this silver filling is obvious, and the filling should be replaced as soon as scheduling will allow. Cracked fillings will leak, and the tooth will develop recurrent caries (new decay) underneath the filling. Figure 6b: Upon removing the cracked filling, decay was noted. 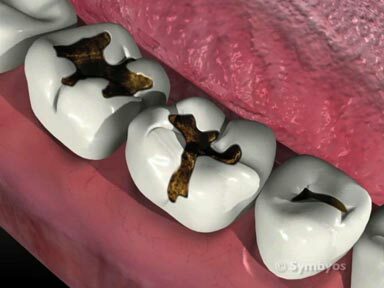 Left untreated, the decay may reach the living pulp tissues inside the tooth, causing an abscess. Figure 7: A heavily restored tooth with failing silver fillings, and a broken cusp (the yellow one). This silver filling in the biting surface (top) of the tooth exhibits a moderate amount of pitting and ditching. Figure 8: The center tooth supporting the bridge in this X-ray image (known as a pier abutment) cracked and developed decay (see arrow). The tooth had to be removed, causing loss of the entire bridge. The missing teeth were subsequently replaced with dental implants, and restored with crowns. Fillings, crowns, and other types of dental restorations which are nearing the end of their service life are collectively referred to as failing dental restorations. Restorations can fail in many ways. Porcelain, composite resin and silver filling material can all chip. Sometimes a gap develops at the interface between the filling and tooth, which can fill with food debris and bacterial plaque, and start to decay the tooth. Silver fillings can crack. Restorations which have been bonded to the tooth can fail at the bond. Generally, failing dental restorations should be replaced. The clinical urgency for replacing failing dental restorations will be considered if the restoration continues to provide normal function, acceptable appearance, and there is no sign of a disease process such as tooth decay or inflammation of the gums, which are attributable to the failing restoration. If there is evidence of disease process (pathology), the problem should be addressed as soon as possible—before it gets worse. If it is unclear (as is often the case) whether a suspicious restoration is leaking or otherwise failing, the restoration will typically be removed for inspection, and the tooth appropriately restored. In general, it’s not a good idea to wait until a tooth hurts or produces other symptoms. The cost of repairing it does not decrease by delaying the inevitable, and the possibility of waiting too long, such that the tooth cannot be fixed, is a possibility that should be avoided. How does the dentist diagnose Failing Dental Restorations? Using a combination of visual, tactile, X-ray and laser imaging techniques, dentists check teeth for failing dental restorations each time you have an examination. There is variation among dentists as to timing the replacement of a failing restoration. Some are more proactive, and some conservative—just as patients are different regarding their individual need for preventive maintenance. It is important that you have all of the information you need to make an informed choice about timing replacement of failing restorations. Important criteria include whether there is pathology associated with the failing restoration. This means tooth decay, tooth fractures, inflammation of the gums around the restoration, chips, food traps, and those sorts of things. If so, there is greater urgency for replacement. The patient must also understand the possible consequences of not replacing the restoration, or of waiting too long. In addition to clinical factors, the replacement criteria may include the degree to which you are concerned about the appearance of the failing restoration, and whether or not the restoration is providing acceptable function. You must also understand the risks of replacing failing dental restorations, which generally depend on how the restoration will be replaced, the tooth’s history, and other factors. How are Failing Dental Restorations treated? Diagnostic photographs and/or x-ray images can help you to understand the problems. Some patients are unaware of the failing restorations on their teeth. Depending on the type and size of the failing dental restoration, and any damage or decay on the affected tooth/teeth beneath it, options typically range from replacement fillings to crowns, veneers, onlays, bridges, removable dentures, or dental implants. Your dentist can help you decide on the best solution for your unique needs. When should Failing Dental Restorations be replaced? The tooth in Figure 2 was not symptomatic, was functional, and was in an area where the esthetics did not bother the patient. There was no decay evident, either clinically or in an X-ray image of the tooth. Collectively, these findings reduce the clinical urgency for replacing the restoration. However, ditching between the silver and the tooth enamel creates a food trap for bacterial plaque that contributes to bad taste and bad breath (halitosis). It also increases the chance of the restoration leaking and developing decay beneath it. To reduce the chance of the filling cracking, it was built not to contact the upper opposing tooth, making it virtually non-functional. Considering all of these factors, replacement of the existing restoration with a crown or onlay would likely be recommended. Pitted surfaces can sometimes be re-contoured and polished to produce a smoother, less plaque-retentive surface. Pitted surfaces that are adjacent to the neighboring tooth produce food traps and increase the likelihood the neighboring tooth will become decayed. Since those surfaces cannot easily be polished, your dentist may recommend replacement. Gaps that are too deep or narrow to accommodate toothbrush bristles should be considered candidates for replacement relatively soon. Gaps on the biting surface can also act as leverage points should seeds or popcorn kernels become lodged in them. This can lead to tooth fractures. The tooth in Figure 7 had a broken cusp (you can tell by the different shade of the enamel). Therefore, the clinical urgency to restore this tooth was relatively high. A crown was recommended due to the extent of damage to the tooth, including previous fillings, which were removed and replaced at the time the crown preparation was done. In general, it’s not a good idea to leave old restorative material under a new crown or onlay, because of the risk that it may conceal active decay. A restoration failure that has greater implications is shown in Figure 8. A fixed partial denture (bridge) spanning five teeth developed decay on an abutment tooth, under one of the crown retainers (arrow), and the teeth and bridge needed to be removed. The patient elected to replace the teeth with dental implants and crowns.